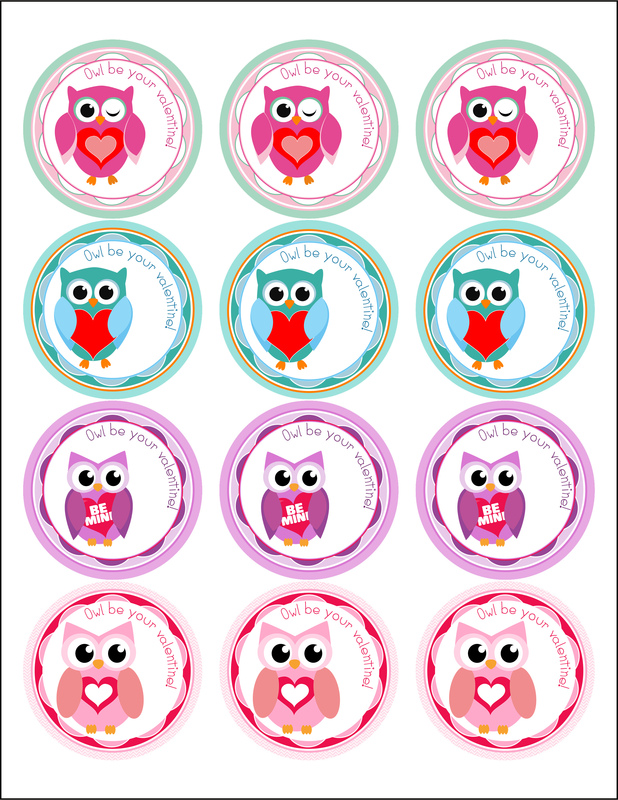 Valentine’s Day Owl Cupcake Toppers Free Printable is an adorable way to jazz up cupcakes for your someone special. Easy to use and free to download and print! We’re two weeks away from Valentine’s Day so here I am with another printable to help you celebrate with lotsa ♥ and make the day extra special. 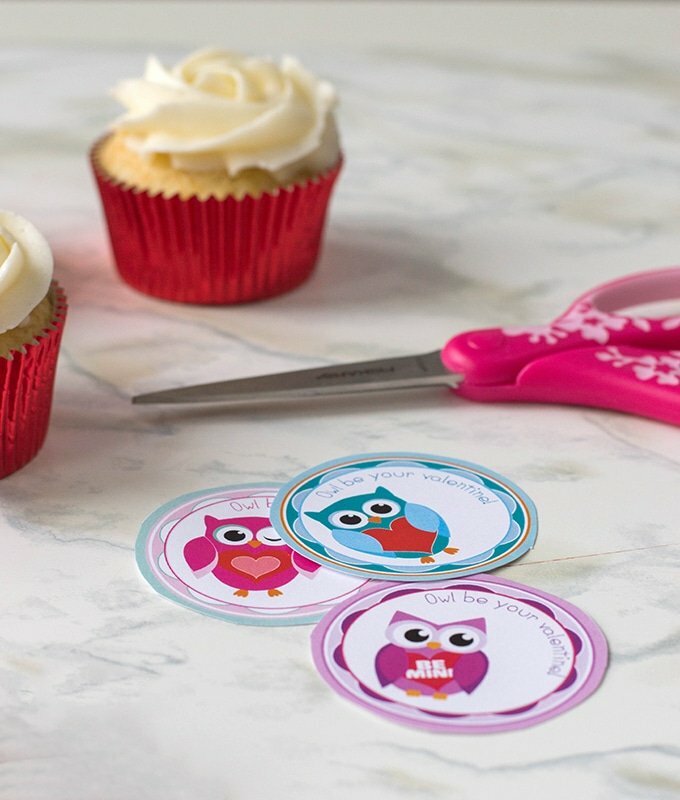 Aren’t these owl cupcake toppers the cOWLest? 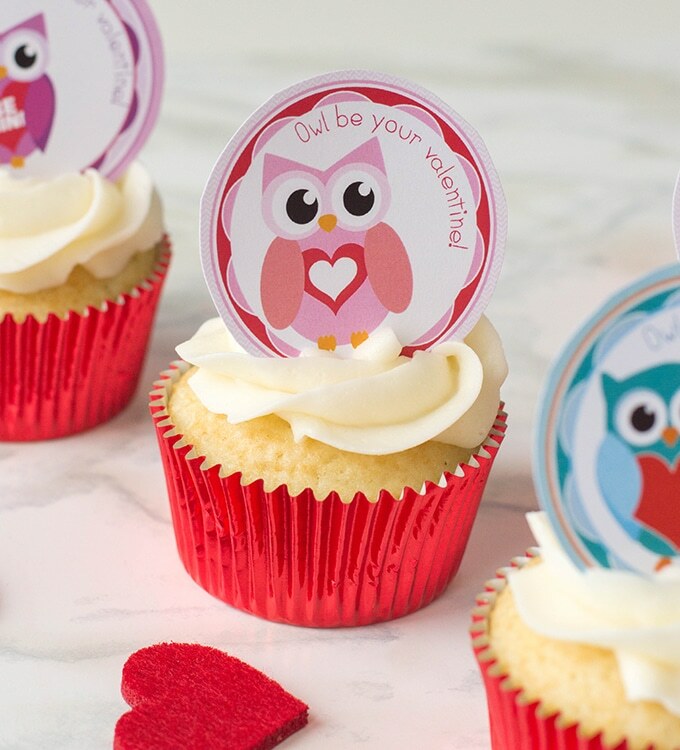 They come in three designs and colors to make decorating sweet treats for your bae more fun! The toppers are 2.5 inches in size and prints 12 (3 of each design) per sheet. 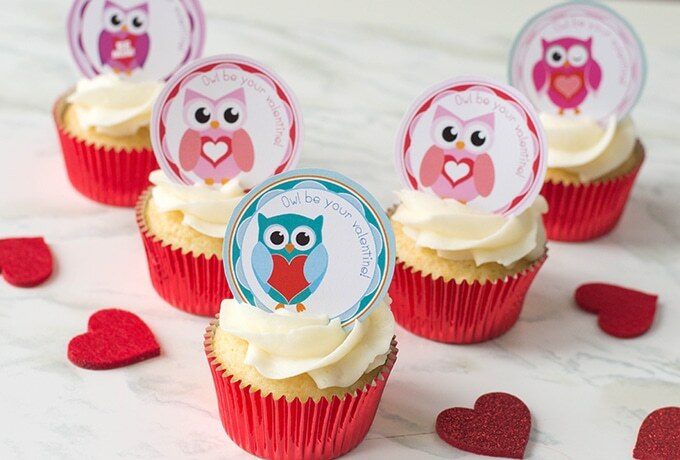 They make adorable cupcake toppers but can also be used as labels, stickers, gift tags, mason jar lid labels or anyway, anywhere you want to add some Valentine’s Day cheer. 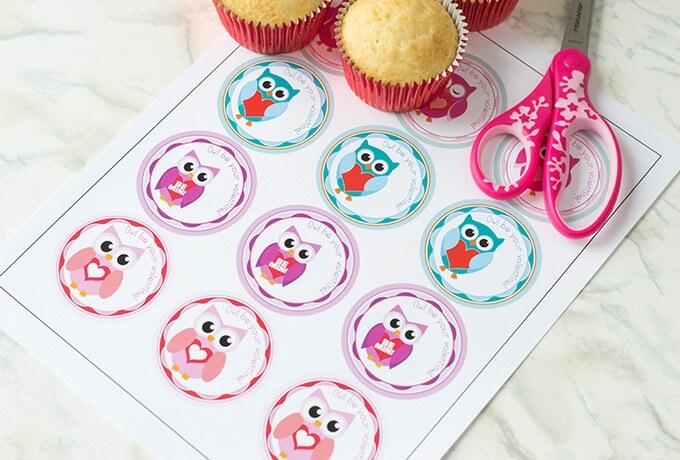 If you want to use them as cupcake toppers, print the printable on card stock paper and cut out with scissors or with a 2.5-inch round punch.